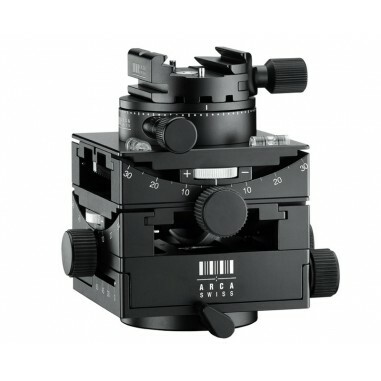 The C1 Cube with it's unique design and innovative construction has been further developed and enhanced with the addition of an optional gear driven self-locking panning device situated directly below the camera quick release. This new upper geared panning device can also be set to a free movement mode for fast camera positioning or smooth continuous movement by simply pulling the panning knob outwards. 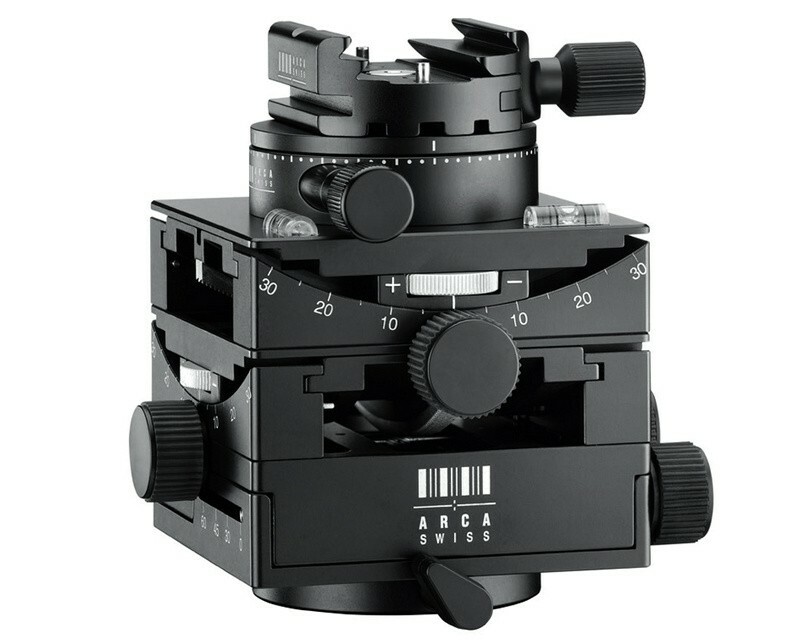 To re-engaged the precise geared camera rotation push the panning knob inwards. Precision engineering and uncompromising excellence are the hallmarks of this amazing camera support! The C1 Cube GP is perfect for landscape, still life and architectural photography, as it allows photographers to position their heavy cameras with a degree of accuracy unattainable by other camera heads. The C1 Cube GP is operated in the tilt and pitch planes by calibrated, geared mechanisms operated by thumb dials; enabling you to position the head with unrivalled precision. The design features two panoramic axes: One on the base and a second geared panning (GP), calibrated axis on top of the head, so your camera can be panned on a precisely horizontal plane - handy for stitched panoramic shots. An un-geared hinge near the base enables extreme angles of elevation - another boon for the architectural photographer. Hewn with stability and large format cameras in mind, the Cube is fully metal-bodied, absolutely rock-solid and rated for full-tilting operation with over 25kg of load.